Fantasia is not Forever. In L.A. Life November 1, 1991, Disney CEO Michael Eisner explained that the 50th anniversary videotape release of the Disney feature Fantasia would only be available for fifty days and then “permanently withdrawn from the market”. Eisner said, “What Walt Disney wanted to do was make it a living film that you changed and put new pieces in and took pieces out every three or four years. Eisner, Roy E. Disney and Jeffrey Katzenberg emphasized that Snow White and the Seven Dwarfs would never be released on video because it goes to the roots of the company. At that point in time, fourteen animated features including Make Mine Music, The Aristocats and others had never been released on video. Waynehead. In USA Today for October 17, 1996, actor and comedian Damon Wayans talked about his WB animated series entitled Waynehead about the escapades of ten year old Damey Wayne as he grows up in in Manhattan with his parents, brother and sister. In real life Wayans was one of ten children. Originally, it was pitched as a clay animation series for Fox but evolved into traditional animation for the WB Network. Wayans said, “It is a fantasy to have something like this happen. It’s interesting to see yourself animated on TV. I wanted to focus more on my adventures and friends than I did on my family. The show is about this one kid with a stable family life, a strict father and a loving mother. But when he steps out the door, he takes with him all the lessons he’s learned and applies them to his life. Chuck Jones and Chaplin. In the Sherman Democrat newspaper October 25, 1987, producer and animator Chuck Jones said, “Animation in the dictionary sense means to evoke life. That’s what our stuff was all about. We were dealing with acting rather than with drawing. One of the reasons our characters are remembered today is that they were meant for a mass medium. We didn’t know what percentage of our audience was children and if we had, we wouldn’t have known what to do about it. “Our characters are the same as Charlie Chaplin or Harold Lloyd. Most of the Chaplin pictures were shot out of doors. We used to go and look through the fence at him. I was eight or nine. It was impressive. I loved him. I saw him do things over and over and over until he had them right. That stuck with me. Mike Judge. From The Hollywood Reporter November 25, 1997, Mike Judge, the creator of Beavis and Butthead talked to Harvey Deneroff: “I don’t know if Beavis and Butthead had a big impact on the animation world other than it just being another animated show that’s successful. I don’t think anyone’s going to be teaching the Beavis and Butthead school of animation at any college anywhere anytime soon. “My theory is that between the Warner Bros. stuff and the last ten years, most people were just copying the older stuff. 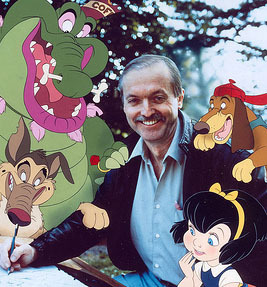 For instance, for years, every cartoon voice actor seemed to be just trying to imitate Mel Blanc and the animators were all trying to be like Chuck Jones and Tex Avery. It wasn’t until The Simpsons, Ren & Stimpy, and maybe Beavis and Butthead too, that people started doing something different. And that kind of came out of the animation festivals. Gruwell. 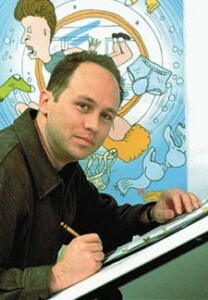 Paul Gruwell started as a layout man at Hanna-Barbera in 1967. Paul said thirty years later in 1997: “There is no one person who oversees the product every step of the way, that’s why there is so much bad animation around. I have found that not the best artists are the best animators. Animators are actors more than artists. 3 years later, FOX would gain a clay animated series with black principal characters – and produced by the late Will Vinton to boot. Only to find his studio run by a white rapper whose dad owns Nike. Was that storekeeper in that “Waynehead” episode named after a certain infamous animation producer? Katzenburg. He kind of even looks like him. I saw some of it, and it’s pretty good! If they didn’t released their films on video, the Life Animated generation wouldn’t exist as we know it today. It was certainly a very slow, trickling process for these features to find their way out of the theater and onto TV screens in homes. Actually, “Dumbo” was the first single story animated feature film released by Walt Disney Home Video, and even then, it was released through the rental market first. “The Many Adventures of Winnie the Pooh” was released around the same time. As we all know now, the “1995 Fantasia” became Fantasia 2000, a film that I’m convinced that someone at Disney had very little confidence in, as they felt it necessary to have all those celebrities introducing sections of the film as opposed to the original just having one presenter. The animation is nice, but it just isn’t as “classy” as the original Fantasia. Yes, as good as the animation was in Fantasia 2000, there was just something not as awe-inspiring as the frist Fantasia, knowing the advancements; cameraless, paperless animation and computers. For me, comparing 2000 to the first is like comparing the task of the Great Pyramids to modern construction. Just something about knowing the level of labour, a labour of love required for the first. While I agree about the “That’s Entertainment” type introductions, I disagree. I thought the animation segments were good enough on their own especially “Fantasia” veteran Joe Grant’s “Carnival of Animals” segment. In fact, I would like to see another one (with mostly traditional animated segments) if that ever happens. 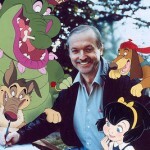 Does anyone from Walt Disney Animation Studios read this blog? I thought the animated sequences were very good, about as much of a mixed bag as the original Fantasia. Those introductions just take me right out of the mood that the original Fantasia wanted to create. It’s still a very good movie, though. I wonder if Disney inadvertently discovered the draw of artificial scarcity with Fantasia, or if they were savvy and simply testing the waters. Of course the days of “hurry before it’s back in the Disney™ vault” TV ads are gone, but things come and go off streaming services with even less rhyme or reason. I think they certainly knew by saying it would be limited would equal sales. However, I believe Roy DIsney Jr. would have been at least the one with the sincerest convictions of not releasing certain films, being the conscience of the Disney company….whether or not he always was heeded is another question. Paul Gruwell is actually related to Johnny Gruelle, creator of Raggedy Ann. He once told me that he changed the spelling of his last name so that people could more easily pronounce it. So if you hear somebody pronounce Johnny Gruelle’s name as “Gruel” or something, just remember how Paul spelled his last name, and you’ll get it right! The sad state of the company today. Please don’t give the live-action department ideas. They have all the money in the world now, and that’s what they do with it: try to top pigs with pigs. I remember visiting the Disney warehouses with my Festival of Animation colleagues in 1993 or 1994, and Mark Kausler showed us a bunch of very early development work on “Fantasia 2”. One part was based on a children’s book, but I can’t remember which. I believe all the work got dust-binned. 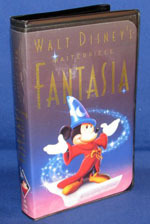 First and only LaserDisc I ever bought was the 1991 version of Fantasia – Its still in the shrink-wrap. I wonder how much that would go for online. Always see loads of still-sealed Fantasia laserdiscs on eBay. For a “limited” deluxe set, they seemed to have pressed a lot of copies! With constant advances in modern sound technology, surely there’s a way to save and use again the original Deems Taylor narration. Although it must’ve been a tricky process, I’ve never been crazy about the narration’s recent re-recordings by other men, sync’d up to Taylor’s face.